Waldo Lake is definitely one of Oregon’s purest jewels. 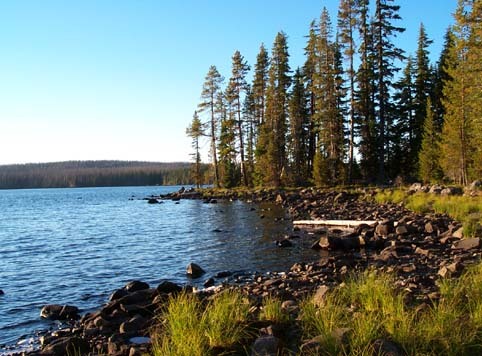 At 5,414 feet, 58 miles southeast of Eugene, OR., Waldo Lake provides a relaxing atmosphere, exciting wilderness hikes and the opportunity to engage in non-motorized watersports. 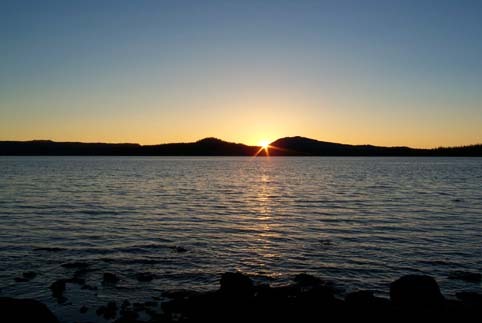 In the summer of 1996 a forest fire burnt over 10,000 acres of the forest surrounding the northern shore of Waldo Lake and the nearby Rigdon Butte Lakes. Waldo Lake is the head of the historic Willamette River. Oregon’s second largest lake, it is upstaged only by Klamath Lake in the south. 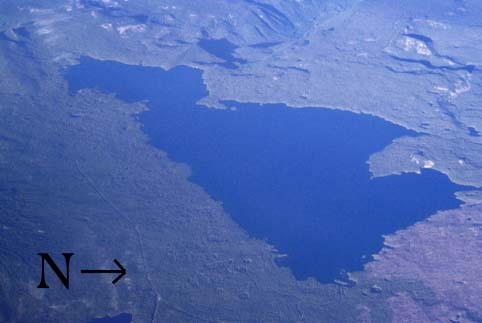 At 420 feet, Waldo Lake is also Oregon’s second deepest lake, fish can be seen swimming through clear, pure water 100 feet below the lakes surface. Only Crater Lake can compete with Waldo Lake’s depth. The lake is popular with sailors who bring their sailboats and catamarans. All three campgrounds have boat ramps. At the North Waldo Lake campground we observed slips for boats and little alcoves which were made near the campsites in which canoes and kayaks are kept. Although motorized boats are still allowed on the lake, speed must be kept below 10 miles per hour. We support the proposed plans to prohibit all non-emergency motorized traffic on the lake. This lake is considered one of the worlds most pure and natural water sources, and should be preserved. Evenings, be it clear or partially cloudy, will provide you with some most spectacular sunsets looking west across the lake. Take Oregon State Highway 58 east from Eugene. You will pass through the town of Oakridge (if you don’t have your forest passes, stop at the ranger station here). Turn left (north) at the well marked exit to Waldo Lake. The road is very well maintained, watch for rocks in the road near cuts.